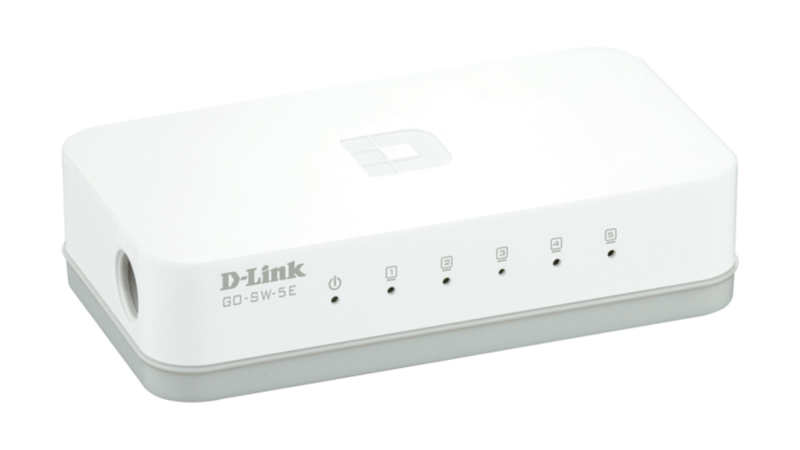 The dlinkgo GO-SW-5E 5-Port Fast Ethernet Easy Desktop Switch allows you to quickly set up a fast, reliable, and efficient wired network in your home or office. 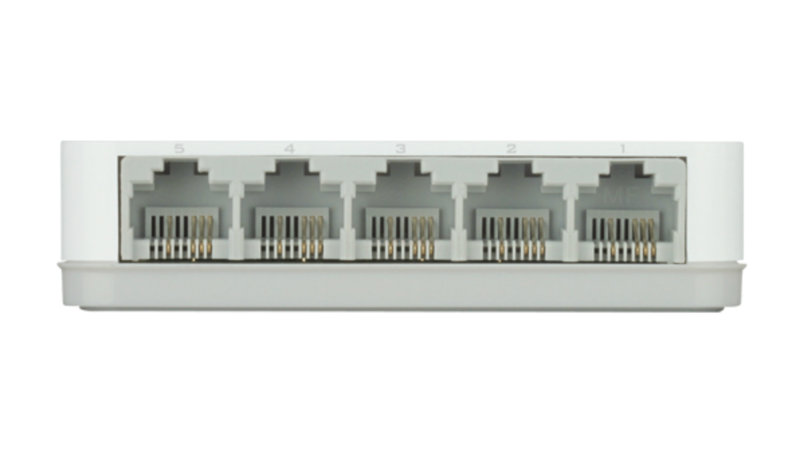 The GO-SW-5E is an unmanaged 10/100Mbps switch designed to enhance small workgroup performance while providing a high level of flexibility. Powerful yet easy to use, this device allows users to simply plug any port to either a 10Mbps or 100Mbps network to multiply bandwidths, boost response time and satisfy heavy load demands. Connect the GO-SW-5E to multiple computers to share files and folders, or connect it to a router to share an Internet connection. 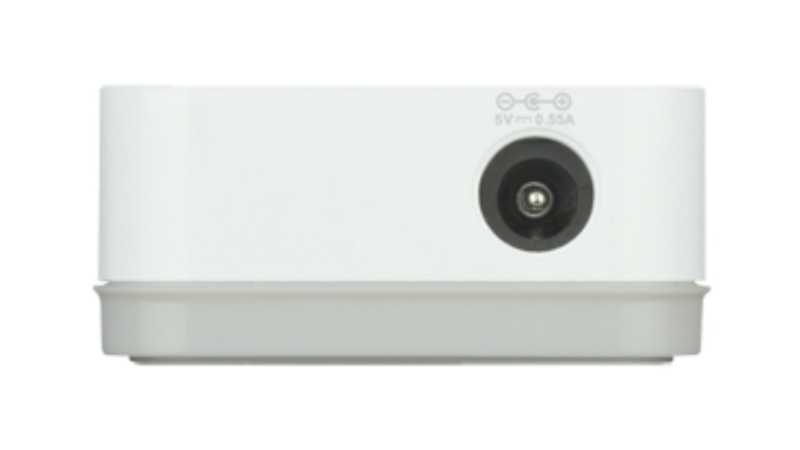 The GO-SW-5E features easy access auto sensing 10/100 Mbps Ethernet ports with a LED indicator for each port to quickly distinguish link status and activity. These ports detect the network speed and auto-negotiate between 10BASE-T and 100BASE-TX, as well as between full and half-duplex, to get you the maximum speed possible for each device connected to your network, for faster browsing, video streaming, and online gaming. 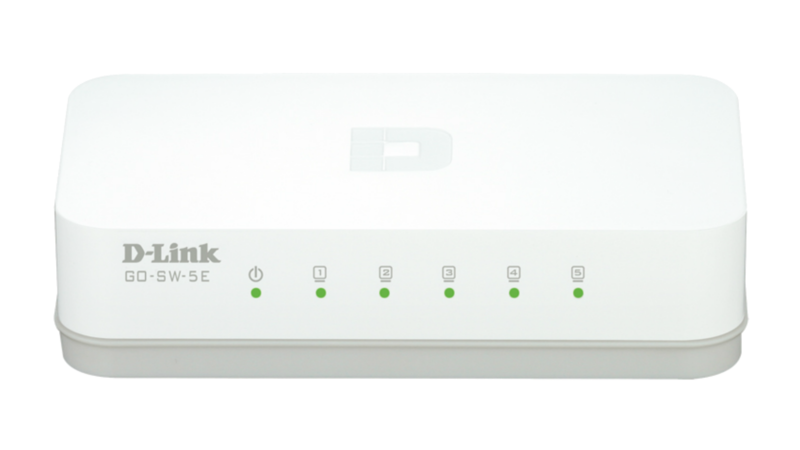 The GO-SW-5E also supports Auto MDI/MDIX Crossover, allowing you to connect each port directly to a server, hub, router, or switch using regular straight-through twisted-pair Ethernet cables. The GO-SW-5E is a Plug-and-Play device that requires no configuration, so setup is simple and hassle-free, so right away you’re easily able to connect multiple computers, share files, music, and video across your home or small office network, or even create a multi-player gaming environment. 802.3x flow control on each port minimizes dropped packets when the port’s receiving buffer is full. This gives you a more reliable connection for all of your connected devices. 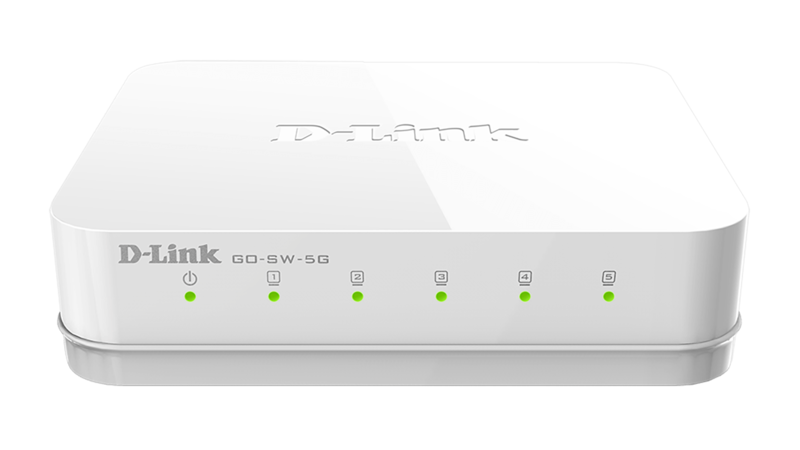 The GO-SW-5E features D-Link Green technology, which drastically reduces energy consumption. If there is no computer connected to a port or a connected computer is powered off, the port will automatically enter ‘sleep mode’, greatly reducing the power used for that port without interrupting the network connection. In addition, the switch automatically detects the length of connected Ethernet cables and adjusts their power usage accordingly without affecting performance. This considerably lowers overall energy usage, which both saves you money and helps the environment, without the need for micro-management. The GO-SW-5E has a sleek and compact design, so that you can place it in any easily accessible location and have it stay out of your way. The power connector and ports are all located at the rear of the switch allowing you to tuck the cables away conveniently. The GO-SW-5E does not use a fan, so the switch operates silently but effectively, letting you watch movies streamed off the Internet without distraction, or browse the web in peace.